Seas of Glory plunges you back into Merchants & Marauders where you can live the life of an in-fluential merchant or a dreaded pirate in the Caribbean during the Golden Age of Piracy. This hefty expansion offers a modular experience with 11 new challenges you can mix and match to constantly renew your search for glory at sea. 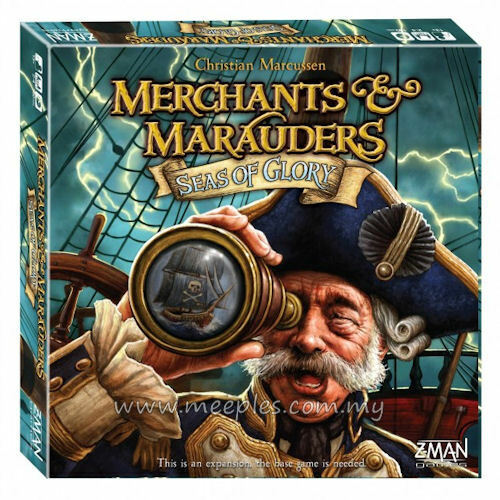 With many new mechanics such as changing winds, smuggling, and crew satisfaction; as well as 5 variants, Merchants & Marauders will never be the same. 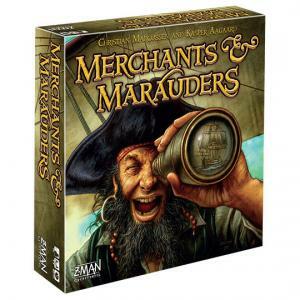 *NOTE* This is not a complete game, Merchants & Marauders is needed for play.